We're staying put, ... Nobody took any pleasure asking candidates not to go to another state. 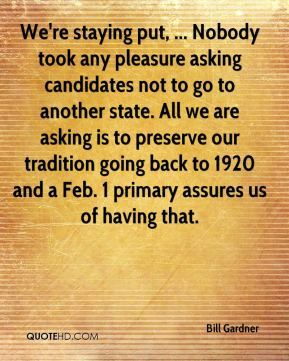 All we are asking is to preserve our tradition going back to 1920 and a Feb. 1 primary assures us of having that. 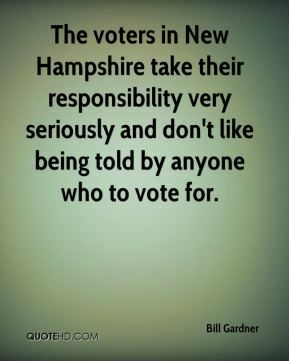 The voters in New Hampshire take their responsibility very seriously and don't like being told by anyone who to vote for. 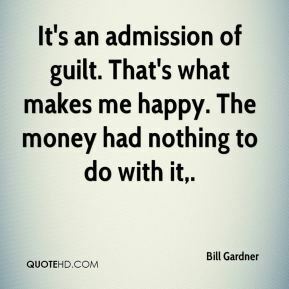 We go through cycles, where one category is popular for a couple of years, and then another. 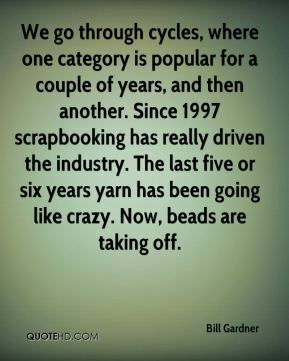 Since 1997 scrapbooking has really driven the industry. The last five or six years yarn has been going like crazy. Now, beads are taking off. 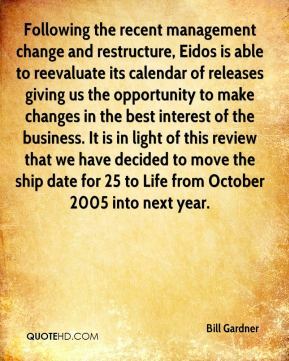 Following the recent management change and restructure, Eidos is able to reevaluate its calendar of releases giving us the opportunity to make changes in the best interest of the business. It is in light of this review that we have decided to move the ship date for 25 to Life from October 2005 into next year. 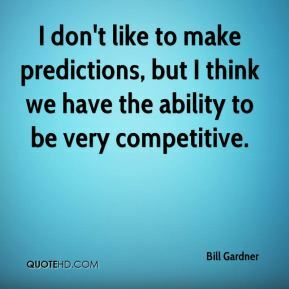 I don't like to make predictions, but I think we have the ability to be very competitive.